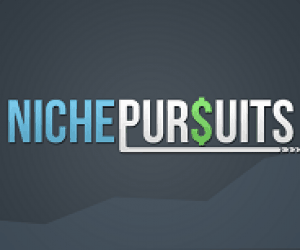 Today’s episode of the Niche Pursuits Podcast is a Q&A session with Perrin and I talking all about selling physical products on Amazon. We’ve covered some of these topics in previous blog posts and podcast episodes, but we wanted to dig into a more of the details with you today. The most popular question we get is “What are your thoughts about going outside of Amazon?”. The spirit of the question here is what is the risk of having your entire business being based on a single platform. 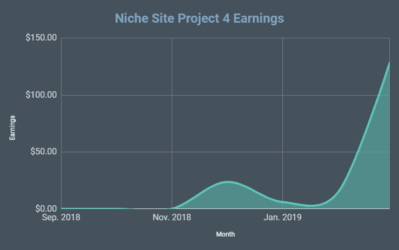 We’ve seen some of the Google SEO penalties really hurt niche websites in the past, and so we’re very conscious of this not affecting our Amazon business going forward. The important thing to remember here is that your product is the business, not Amazon. Things like building content on your own website will not only increase traffic and sales via Amazon, but will build a defensible business as well. Two episodes ago on the show we talked a lot about the concept of being “The One”. Some people are taking this to mean that they have to create an entirely new class of products to be successful. That can be the case, but not necessarily. Think about small improvements you can make to existing products or marketing an existing product to a new audience. That an be the differentiator that will make your business successful. Another common question we get is Why Not Go Direct? By this people are asking why not sell directly via an ecommerce website instead of selling on Amazon. 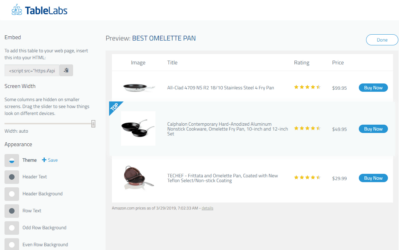 There are advantages of selling direct, just like Andrew Yourderian is doing at eCommerce Fuel, but margins may be less and you’re not getting the built in traffic, marketing channels, and captive audience that Amazon offers. A few people have been asking about selling through Amazon’s FBA program in other countries. This is a possibility for most people. We discuss how this would work. Can you estimate costs associated with a product? Yes, the easiest way to estimate product cost is via Alibaba.com directly. Email a few suppliers and they’ll give you per unit costs at different quantity levels. The same can be done for freight and other logistics considerations. Where and How do you get samples? Again, Alibaba.com is the place to go for foreign sourced products. You’ll be able to send payment via Paypal for a single item and they’ll send it via DHL or another freight carrier. Can you source from the US? Yes, absolutely. Particularly if you’re in the supplements or beauty products field you may need to source from the US due to government regulations. But many things can be sourced from the US. One of the Benefits being that the language barrier likely will be lower, time to market will be shorter because there’s quicker shipping times, and customizations may be easier. Downside is that the cost will be higher, primarily because of labor costs vs. China. What due diligence can you do around suppliers on Alibaba? There are 4 criteria you can choose from at the top of a search bar: On Site Check, Gold Star Rated, Assessed Supplier, and Trade Assurances. Each of these come with background due diligence that Alibaba or third party groups have done on these manufacturers to help assure that they’re top tier suppliers. Are there any courses you would recommend on Amazon FBA? Since we haven’t taken any personally I can’t recommend one. I like to learn by doing, which is how I’ve grown all of my businesses. With the community here and other resources available you should be able to get started with a good knowledge of how a good FBA business should work. 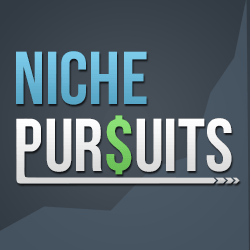 If you’re enjoying the show and would like to show your appreciation for the Niche Pursuits podcast in general, please leave a rating on iTunes right here. We’d sure appreciate it. 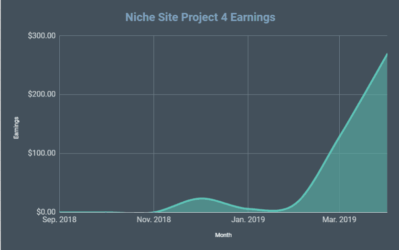 Thanks again for this podcast, the more i hear about it, the more i wanna check it out, but “unfortunally” i’m trying to avoid the shiny object syndrome….. For me the focus right now is an authority site based on affiliate and adsense. Probably the reason why i called you a bit subjective,las time,.. felt like you were giving up on that business model. Anyways, great podcast again, if i get my “bigger” site to where i want it to go (or if it crashes) this will most likely become my next shiny object. Nothing wrong with trying to avoid shiny object syndrome. Best of luck! Thanks Spencer and Perrin for a very informative podcast. Inspired by this series, I want to ship a product from my own country and sell in USA. I’ve also found the unique product and calculated the cost. The problem now is, the shipping company said that, due to the nature of my product, there’s a risk of being rejected by FDA when importing. So they asked me if I have import license. I know my product is good, but how can I apply for this import license? I search on FDA website but they don’t seem to have an email. Hey Martin, I am not sure on that one. Perhaps contact a logistics company (one that you would use to get product in US), and ask them what would be needed. Thanks Spencer for your quick reply. Sorry my question was not clear enough. I plan to ship from Vietnam to an Amazon warehouse in USA. So I’ll apply for FBA program. In this case, the logistics company is Amazon right? Step 1: register with FBA. Get the Amazon warehouse address. Step 2: order the products from Vietnam, with my label and brand. Step 3: contact the shipping company to transport the products from Vietnam to Amazon warehouse. I’m stuck at step 3. The Q&A section on Amazon doesn’t seem to help. No, Amazon is NOT your logistics company. They do all the fulfillment ONCE the product gets to their warehouse. However, how are you getting the product from Vietnam to the amazon warehouse? A logistics company would usually handle all this. (I hire a separate company to get my product from China to the US). Step 3 is exactly where you need the logistics company. Do a google search to find company that will be a freight forwarder, logistics, etc…to get your product to the US. Oh nice! I was curious about this but hadn’t looked into it yet…nice find. I have one question, which is actually asked by the logistics company. What is the address of Amazon warehouse/fulfilment centre in USA, so they can calculate the cost? I did a quick search and it seems there are multiple Amazon fulfilment centres. Once you are ready to ship the packages to Amazon…Amazon will tell you where to send them. This info is provide in seller central, once you create a “shipment”. The logistics company will often land the product in the US, and ship to their own warehouse…then they will ship from their warehouse to Amazon warehouse once you provide the additional details. You mentioned about another podcast you listened to where the guy always does his sample batch from the US. Any chance that was the Brad DeGraw episode on MyWifeQuitHerJob? That is VERY possible! I do believe that I listened to that episode…so that is likely it. I’ve come up with a private label product idea and I’m really looking forward to getting started. It would be a basic change on a household item, however I’m worried about the extra liability that this could create. What steps are you taking to protect yourself? Anything beyond an LLC (ex: label warnings, etc)? That’s great Stefanie! If you are concerned about potential liabilities, it’s probably worth discussing with an attorney. Have followed your blog for a while, but first time commenting. Really interested in your success with FBA. Just curious, do you think being “the one” in your niche allows you to charge a premium relative to your competition? Yes, I do believe you can charge a premium for uniqueness. This all depends on the overall marketplace, but that definitely is usually one of the benefits…being able to charge more. Hi Spencer, I am sorry if this is the wrong place about typing this comment but isn’t FBA an antithesis of what online business is identified as? 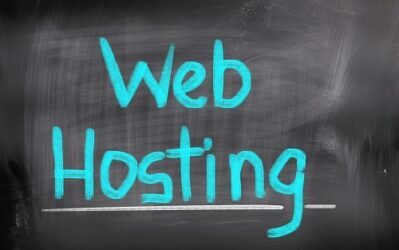 With online business you assume there is no hardware involved. Or do you believe, as blogging market is getting too competitive, selling real products is a natural progression? Hi, Spencer and Perrin. I never think I would sell physical products on Amazon. However, after reading this post, I think I will have a try someday in the future. I know this will be a tough way to success. I am thinking of sourcing my product from the U.S. That is an existing product made with a slight alternation that makes it totally unique and which does not exist at all on Amazon! What I am worried is that if I use a U.S. company to make that product for me and after all I give them the Amazon warehouse address. So they could pretty much think to themselves, hey that’s a pretty good idea and being that they are the actual manufacturer AND based in the U.S. it would be super easy for them to be an Amazon seller themselves in record time. With a Chinese source product, much less likely to happen anytime soon, they usually don’t bother with their own FBA store, would take them a long time to set all things up unless a U.S. based company which can make it almost instantly. Sure you could also see your product being offered on Amazon and that’s ok and very likely to happen, but it could take a few months whereas meanwhile you create sales, reviews and establish your brand name as a well, whereas with a U.S. manufacturer, he could participate on his own in record time being a seller himself. I have the same concern! So much so, I was actually thinking of creating a HOLDING COMPANY. I am seriously considering doing that, because it doesn’t hurt to keep things quiet from the manufacturer for the exact reasons you mentioned. 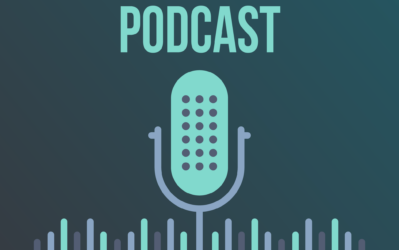 I was lucky enough to get in contact with an agent for Target and Walmart after she was interviewed on a different podcast. She told me not to worry about this, that it’s simply not “their business plan.” However, I also read a blog by someone who’s been doing private label FBA a long time now, and he swears up and down that you should never let the manufacturer “in” on your own business model. After all, businesses exist to make money, period. A smart business person would’t say “It’d be super easy for me to make money doing X, but since that’s just not my usual business plan I won’t bother looking into it.” I see both arguments, but my paranoia has me siding with the latter. I’m very seriously considering a holding company for that reason. i.e. source a product and have it billed to Company A. Only give the name of Company A to your manufacturer. From there, either ship the inventory to yourself for labeling (that’s what I would do in the beginning), or ship it to an intermediary packaging company. Have the packaging company put your branding on the product with company B’s name. Then sell the product on Amazon as company B. Assuming the manufacturer and labeler don’t have a connection, you should be safe. BUT…is that just way too much effort? lol. oh man. Hi Lynn, here’s my 2 cents. There’s nothing wrong with business making money. But I believe business also exists to add values to society. If you’re afraid that people might steal your ideas, take advantage of you, then your business won’t grow to be very big. Because you won’t trust people, so you won’t train, delegate the tasks and duplicate yourself. As as result, you won’t be financially free and happy. After all, if there is someone else doing the business better than you, that’s better for the society right? How did you enjoy negotiating with the manufacturer? I’m doing the same thing with an item from a manufacturer in China and have found some interesting lessons learned after going back and reviewing the ordering process. I just listened to this episode and you guys were wondering if and how to sell internationally with Amazon. The person to learn from about selling international is Barrington McIntosh (he’s Jamaican and sells on several Amazon platform from an island!!). I took his class and set up my Amazon UK store, which also allows me to sell on Amazon Germany, France, Italy and Spain. I interviewed Barrington just recently. Thank you for all the information you have provided on your new Amazon FBA venture thus far. I have been operating a small business through UK Amazon FBA for the last 18 months. I currently source my products from car boot sales and charity shops (or yard sales and thrift shops to you guys). I’ve been thinking about the private label model to take my business to the next level. After seeing the results you’ve been able to achieve in a short space of time I’ve decided to take the plunge. I have identified a product and have now started negotiating with several manufacturers in China. I have a further question though; I am having trouble getting the manufacturers to agree to a smaller trial order with my own artwork on the packaging. The problem seems to be that they have a MOQ with their box suppliers (which I understand). I wondered if when you received your sample, was it with your own artwork etc? If so, how were you able to negotiate with the manufacturer to produce the product with your artwork before actually placing the order? Good luck Josh! No, for my sample I did not have my artwork. They just sent a sample with a generic package/someone else’s artwork. I just listened to these podcasts, and I must admit this is a side business venture that intrigues me more than most. A savvy friend of mine brought up a good point, though: How many people do you (and other readers out there) know who have actually failed at this venture? It seems like given the risks involved, there would be some failures and it would be instructive to learn more about the specific reasons why those endeavors didn’t work out. – Inbound transportation costs to multiple Amazon FBA warehouses. When you create a shipment, Amazon typically breaks it up and has you ship to more than one warehouse. These typically are located in different parts of the country and can change with each shipment you create. – Amazon fulfillment fees (order handling, pick/pack, weight handling). – Amazon warehouse storage fees. – Amazon commissions. These are charged for both FBA items and merchant-fulfilled items. – Return costs. When FBA items are returned, you must pay Amazon a returns processing fee per item returned (order handling, pack/pack, weight handling). If the item is not resalable, and you want the items back to avoid storage fees, you must put in a removal order to have the item(s) shipped back to you at your expense. – Monthly subscription fee. Applies whether you list merchant or Amazon fulfilled items. What’s the best resource out there for projecting some/most of these costs ahead of time? Has there yet been a one-stop-shop type calculator invented for the Amazon FBA private labeling biz?